Thank you for your interest in volunteering with the Humane Society of Valdosta! We are always in need of helping hands! Due to limited space at our office we can only accommodate two to three volunteers per shift, though large groups of volunteers are fantastic for adoption events and fundraisers!! We periodically have adoption events at various locations or our building, but usually leave it to our business hours because the cats prefer to stay in their rooms and not travel around. If you would like to plan or coordinate an adoption event with us, please contact us to find out how! We try to hold two to three larger fundraising events a year. Group volunteers are vital to these events! We start planning these events months in advance so email us now if your group is interested in helping! Check out our Facebook page to keep up to date with any other fundraisers we have planned! 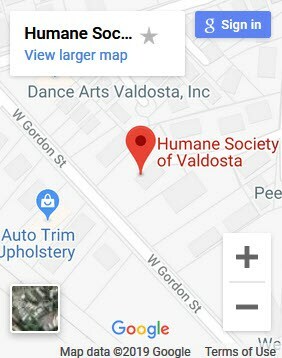 If your group is interested in helping out at one or more events please email us today at volunteer@humanesocietyofvaldosta.org. Include your group name, how many will be attending the event, the point of contact for the group, and which event your group would like to volunteer at. We are always more than happy to hear if your group has a fundraising idea to benefit the HSVLC. If your group is interested in hosting a charity drive or event, we would love to hear from you! Please find our information on the “Contact Us” page and send us a message! 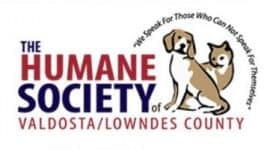 The Humane Society of Valdosta in Lowndes County serves as the parent organization for programs that advocate and take action to benefit those who cannot speak for themselves. Our ultimate goal is to merit a “No Kill” status for our community and stay the course in providing homes to homeless pets. Get Social - Follow Us!